Saturn will appear low in the Southeast sky when the sun sets this month. 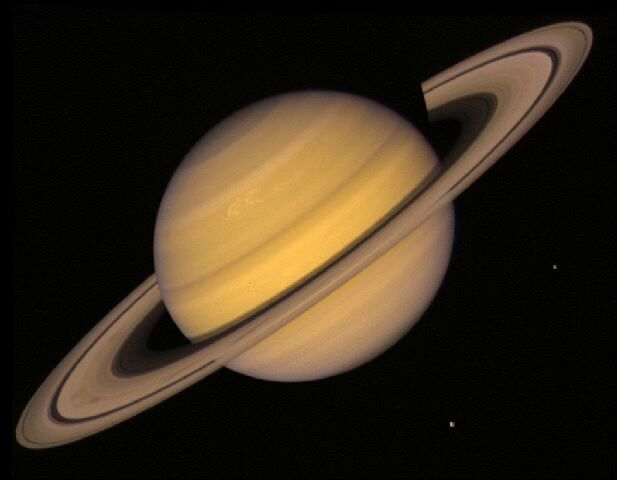 On the 10th of May Saturn reaches opposition (where the planet is closest to the Earth). A few days later (13th) it will be close to the Moon for those who want an easy way to find it. With is eastern position at dusk, Saturn will be viewable for much of the night. So this would be the time to break out the telescope and get some planet-with-rings viewing in! As always, be sure to start with your low-powered eyepiece to help find the planet, then use your more powerful eyepieces to ‘crank up’ the magnification. make sure to align your finder before the night’s viewing session and remember that even though it is May it can still get mighty cold outside. Have fun!